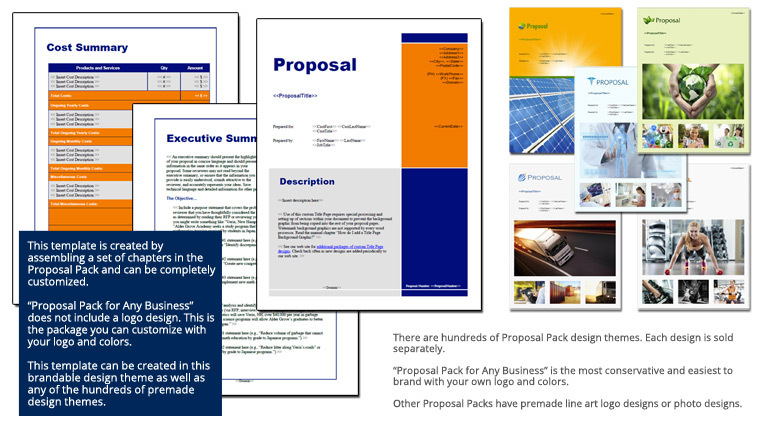 This set of templates was selected for a proposal to outsource a company's customer service. Topics include costs and benefits as well as dealing with training and quality control. Packs, wizard, and Estimate templates helped me to organize my thoughts and allowed me to focus on the substance of the proposals, rather than the logistics of creating them. We are now able to produce high-quality proposals very efficiently."